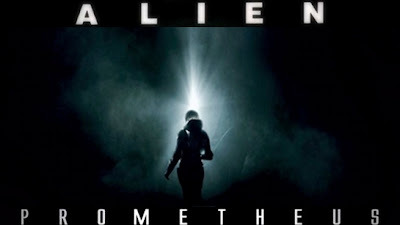 I saw Prometheus yesterday and as a big fan of the Alien series I went in with high expectations. Overall I was very pleased and entertained by Prometheus but felt it could have been so much more if the connections between it and Alien were more detailed and clear. Some questions were answer such as the origin and purpose of the Space Jockey from the 1979 Alien film but there was no clear answer to the Xenomorph creation and how the ship with Alien eggs ended up on the planet LV426. There is an appearance of a somewhat Xenomorph or the early mutation stage of it at the very end of Prometheus but many Alien fans where looking for the actual Xenomorph that appeared in the Alien movies. Most of the movie focused on the Space Jockeys or "The Engineers" and what their purpose was, the Prometheus scientists discover that the Space Jockeys were doing bio chemical and weapons of mass destruction development and testing on the planet. This planet is not the same planet that Ellen Ripley and the crew of the Nostromo land on in Alien. The weapon is a black ooze that causes mutations, deformities, and sometimes the breakdown of biological life matter. The black ooze looked like the symbiote from the Spiderman Comics which takes over Spiderman then Eddie Brock who becomes Venom. It is made to seem that the black ooze is the eventual cause for the creation of the Xenomorph either by accident or scientific engineering. The events of Prometheus take place 30 years before the Alien story which means the early stage Xenomorph at the end of the movie could eventually mutate into the Xenomorph from the Alien movies. But this is not explained or made clear in Prometheus and we don't know if Xenomorph's existed prior to the events in the movie. I believe if Ridley Scott made the connections more clear the movie would have been perfect. Other than the failed connections the movie was great, lots of sci-fi mesmerizing detailed story telling that keeps you interested. I enjoyed Prometheus and hope there is a sequel to fill in the missing connections to Alien. A recent article published by e-Marketer showed that the majority of Facebook users do not want to shop or take part in any e-commerce transactions on Facebook. An Associated Press (AP) and CNBC poll of US consumers conducted in May 2012 found that 54% of respondents did not feel safe buying products or services through Facebook. Only 8% said they felt extremely or very safe making purchases through Facebook. see graph below.. Although many small and big businesses have setup shop on Facebook they are unable to go to the next level by having sales directly on their fan pages. Businesses have been met with a road block and many have pulled down their e-commerce apps and tabs from their fan pages. Marketers speculate that the roadblock may be privacy concerns among users who feel their information is not safe within Facebook. Privacy issues have plagued Facebook since it's inception and has lead to criticisms and outrage among users. Another possible reason for lack of shopping on Facebook is users simply don't want to shop on Facebook because they are there for other reasons. When someone logs onto Facebook the majority of the time they are thinking about communicating with friends and family, viewing and sharing pictures, and of course stalking. So it's hard to get someone to make a purchase when there are so many distractions around. Businesses can still however utilize Facebook status updates, offers, and Ads to drive users offsite to make purchases. But once the user is within Facebook they most likely won't take their credit card out to make purchases. Once Facebook is able to banish it's privacy follies and reputation this should open the doors for e-commerce on the social network.